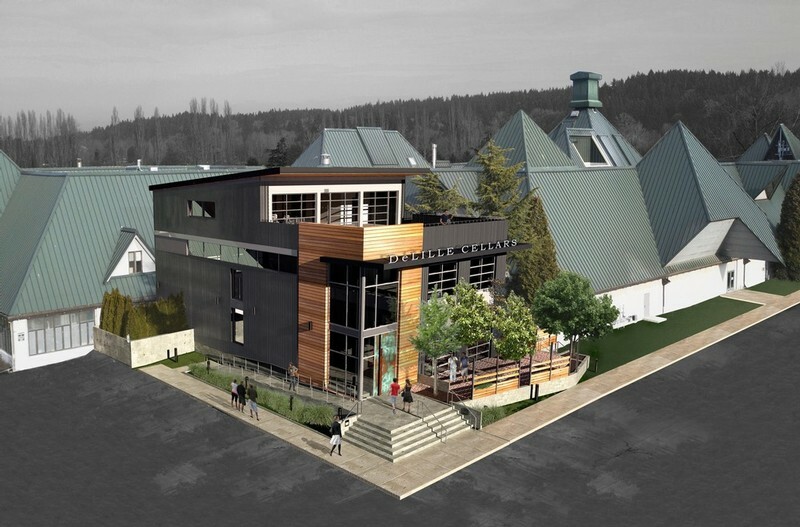 WOODINVILLE, Wash. (March 28, 2019) – DeLille Cellars, a pioneering Washington State winery, today announced that its new three-level tasting room and retail tower at the former Redhook brewery in Woodinville’s Hollywood District will open in the fall of 2019. This expansive space will provide a variety of experiences, including seated tastings, tours and a wine club rooftop deck with views of the Sammamish Valley and Mount Rainier. DeLille’s adjoining winemaking facility has been in operation since January when the winery build-out was completed. “After 20+ years, we’re eager to once again have all of our operations under one roof, with a world-class location that will allow us to fully showcase our wines and history as well as continue to educate and share our excitement about Washington wine,” said Tom Dugan, CEO of DeLille Cellars. DeLille’s new space is approximately 30,000 square feet: 9,000 of retail and event space, 5,000 of office space and 16,000 of winemaking space. In the retail section, curated experiences are being planned, including tastings of DeLille’s portfolio of acclaimed wines, cheese and mini food pairings, retrospective, library and comparative tastings, as well as blending seminars, all geared toward educating customers on the quality of Washington State wine. 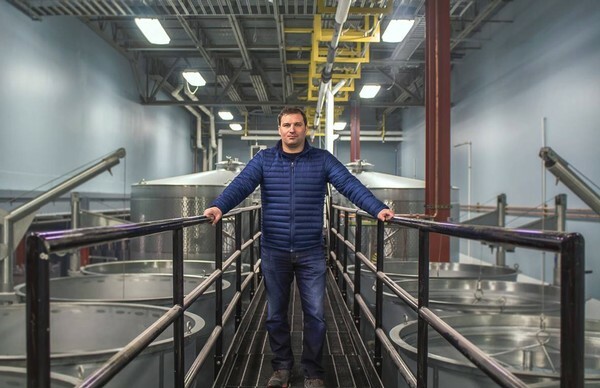 “Winemaking at DeLille is now fully transferred to the old Redhook space, which has been completely modified to support our specific needs and style,” said Jason Gorski, Director of Winemaking and Viticulture. “Everyone at DeLille is looking forward to the new tasting room and offices, not only so we can have the entire team in one place, but also so that we can share our wine and a wonderful experience with our guests, fans and wine club members. All three levels will offer predominantly seated tasting experiences for a variety of guests and group sizes. The main level will include an outdoor patio as well as two private small-group tasting rooms that can be combined for larger groups. The second-floor club level will feature seating areas for wine club members and their guests, in addition to space for corporate dinners and events and a private library accommodating up to 12 guests for intimate tasting experiences spanning the winery’s 27-year history. Wine club members and their guests will also receive exclusive access to the partially covered rooftop deck (featuring a cozy fireplace area, fire pits and roof-lined gas heaters), allowing them to enjoy beautiful views of the Sammamish Valley and Mount Rainier year-round. Until the construction of the tasting room and retail tower is complete, the winery’s Carriage House tasting room in the Hollywood District will remain open. In addition, DeLille’s wine lounge, Maison DeLille, will continue to offer wine flights, glass pours and small bites to the Kirkland community indefinitely. DeLille’s offices are leaving the winery’s original Chateau home in April; that location has been renamed Chateau Lill and will operate under separate management as an event space. To commemorate the grand opening of the new tasting room and retail tower, DeLille is planning a series of events in the fall. An online reservation system to reserve seats and book tastings will go live prior to the opening. For more information, visit www.delillecellars.com. Founded in 1992, DeLille Cellars is a boutique artisan winery located in Woodinville, Washington. 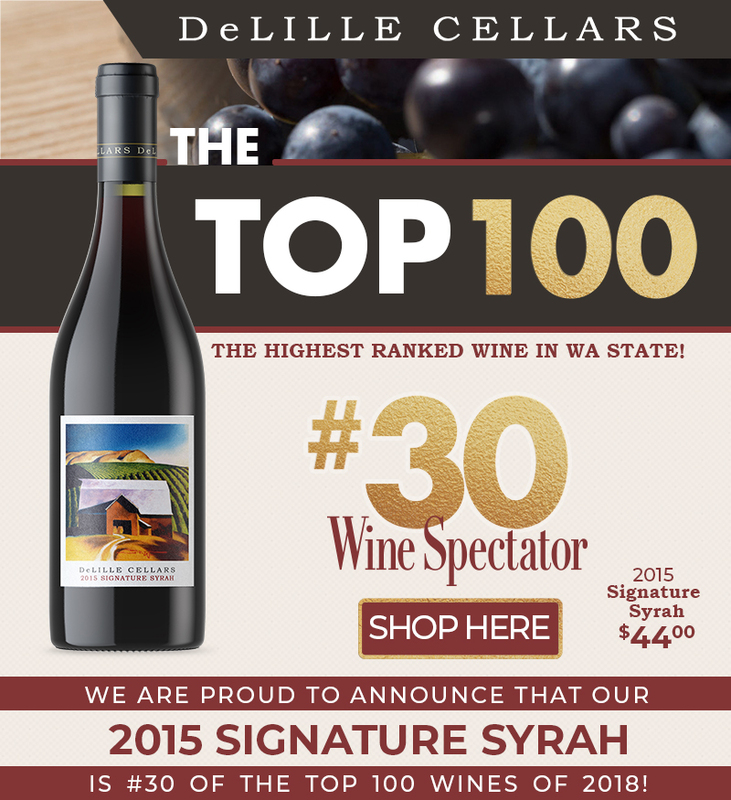 Known for pioneering Bordeaux-style blends from Washington State, the winery has maintained a tradition of quality and excellence, with over 500 individual 90+ ratings from leading publications. DeLille Cellars focuses on the Red Mountain AVA and sources grapes from Washington’s most acclaimed vineyards, including Ciel du Cheval, Grand Ciel, Upchurch, Red Willow, Sagemoor, Klipsun, Boushey and Harrison Hill. 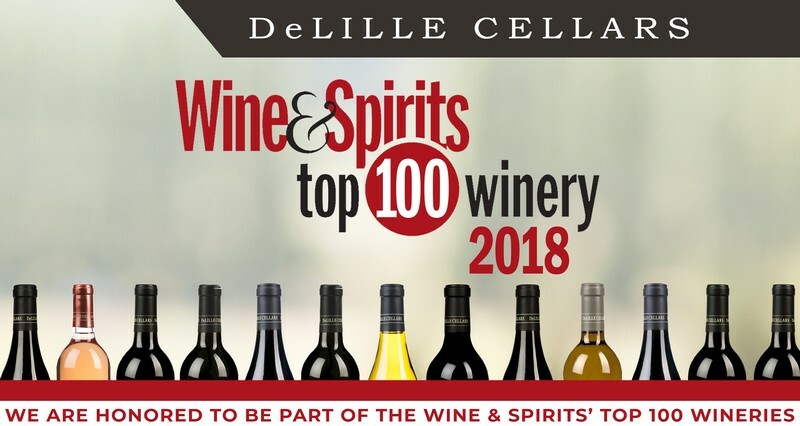 The winery is recognized by notable wine critics and influencers, including Robert Parker, as one of the top producers in the state, and has been honored as a Wine & Spirits ‘Top 100 Wineries of the World’ for the past two years.To learn more about DeLille Cellars, visit www.delillecellars.com.